Recently, the McGill Reporter spoke to two of McGill’s most successful student-athletes – Olympian Dori Yeats and Top Eight Academic All-Canadian François Jarry – to find out how they handle the enormous demands placed upon them. 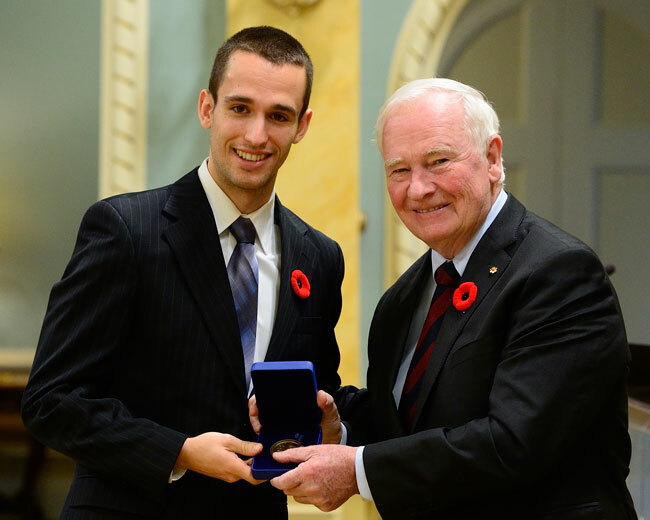 The recent launch of McGill’s Jean Béliveau Award to support top student-athletes underscored the commitment and discipline required to be successful in both sports and scholastics. 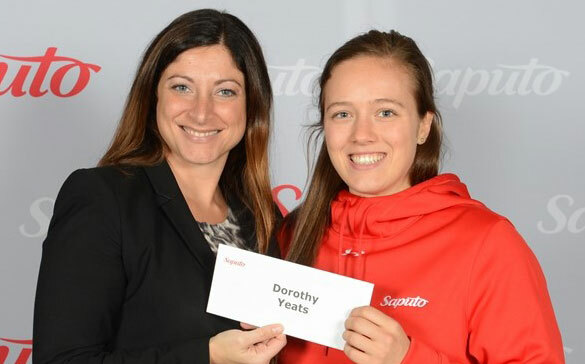 Recently, the McGill Reporter spoke to two of McGill’s most successful student-athletes – Olympian Dori Yeats and Top Eight Academic All-Canadian François Jarry – to find out how they handle the enormous demands placed upon them. As it turned out, Jarry had done something. Something quite exceptional. The 22-year-old physical and health education senior from Lachine, was told by his coach that he had been named among the Top Eight Academic All-Canadians for the 2015-16 season by U Sports, (formerly Canadian Interuniversity Sport). The honour goes to the top male and female student-athletes in each of the four conferences under U Sport, for athletic excellence while maintaining an average of 80 per cent or better over the academic year. Jarry was named an RSEQ conference all-star last season, while accumulating seven Top 10 finishes in eight races. He won the McGill Open before placing third in both the 2015 RSEQ cross-country championship and the 3000-metre race at the conference track and field championship meet. In the classroom, the three-time CIS Academic All-Canadian achieved a perfect 4.0 grade-point average and has been on the Principal’s Student-Athlete Honour Roll since his freshman year. He also received the Strathcona Trust Plaque in 2016, awarded to students with the highest academic standing in physical activity courses. Still, even with his many successes, Jarry wasn’t expecting the news. Used to training three or four times a week prior to joining the McGill varsity team, Jarry had to get used to training virtually every day. “I thought I took my running seriously before. But coming here made me realize I had to take it to another level,” he said. And the hard work is paying off. Jarry’s season last year was like a long-running highlight reel – including winning a bronze medal at the Provincial championships; finishing in the Top 10 at the Canadian Olympic Trials at both 5,000 and 10,000 metres; and breaking the school record at 3,000 metres (“my proudest moment,” he says). Like so many student-athletes, Jarry’s success has come the old fashioned way – he’s earned it through hard work, dedication and superior multitasking skills. “I don’t waste a lot of time. Every break I try to be as productive as possible,” he says, noting that when he does allow for some downtime, he’ll watch “half a movie” while eating supper. Then it’s off to bed. To say Dori Yeats is goal-oriented is an understatement. The 23-year-old began gymnastics at the age of five with the dream of one day competing at the Olympics. By the time she was 14, Yeats had enjoyed a fair degree of success at the provincial level. But, ever the pragmatist, Yeats understood that her trajectory was going to fall short of achieving her long-held Olympic dream. So she made the most unlikely of career changes, vaulting from the grace and glitter of gymnastics to the guts and grind of wrestling. The initial transition was not smooth. That unflinching focus paid off this past summer when Yeats represented Canada at the Summer Olympics in Rio de Janeiro, Brazil. But as single-minded as Yeats has been in pursuit of her Olympic dream, she is far from a one-trick pony. The civil engineering student entered this semester with a 3.56 grade-point average and, earlier this fall, earned a $5,000 academic excellence award, from the Saputo Bursary Program in collaboration with the Quebec Foundation for Athletic Excellence. Even though she is enjoying a little post-Olympic downtime from training in order to recharge her emotional battery and let her body heal, Yeats is not taking it easy. Instead of spending long hours on the mats, Yeats has doubled down on her studies, taking her first full course load.